We will guide you through every step of the process, from ordering to design and then through to production. A digital proof will be sent to you for approval before printing your lanyards. 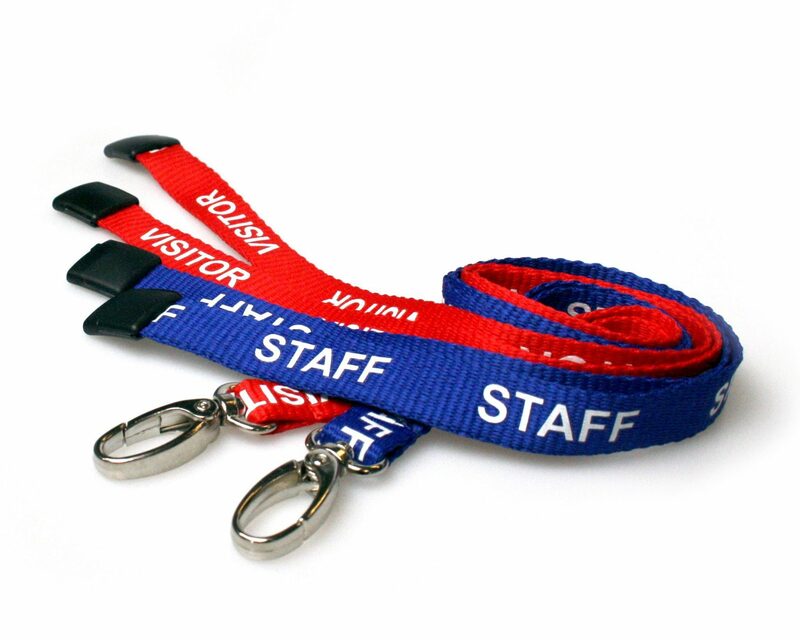 How many personalised lanyards do you require? 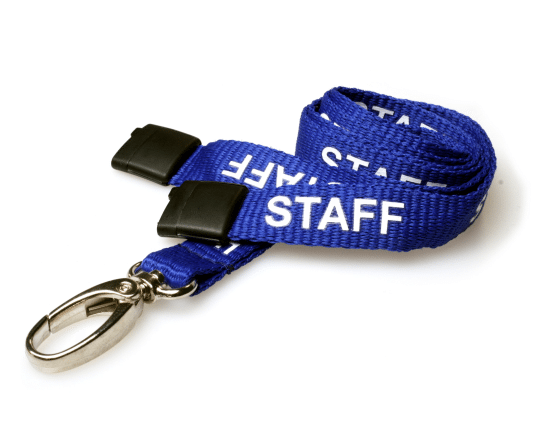 We can print your design on one or both sides of the lanyard. The reverse print can be a repeat of the front or a different design entirely; maybe your telephone number, an event sponsor or an important message. 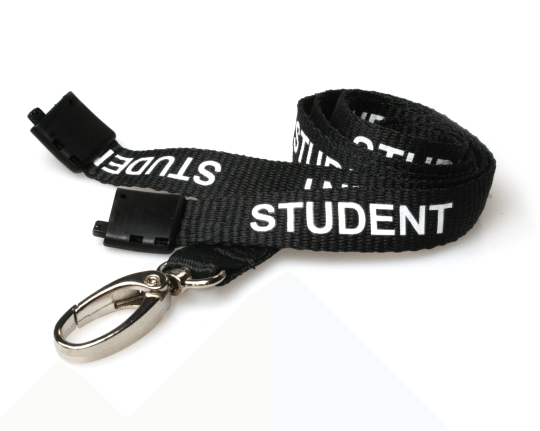 We can provide printed lanyards in four different widths. Our most popular width is 15mm with 20mm a close second as they allow for logos to be printed clearly and text to be easily read. 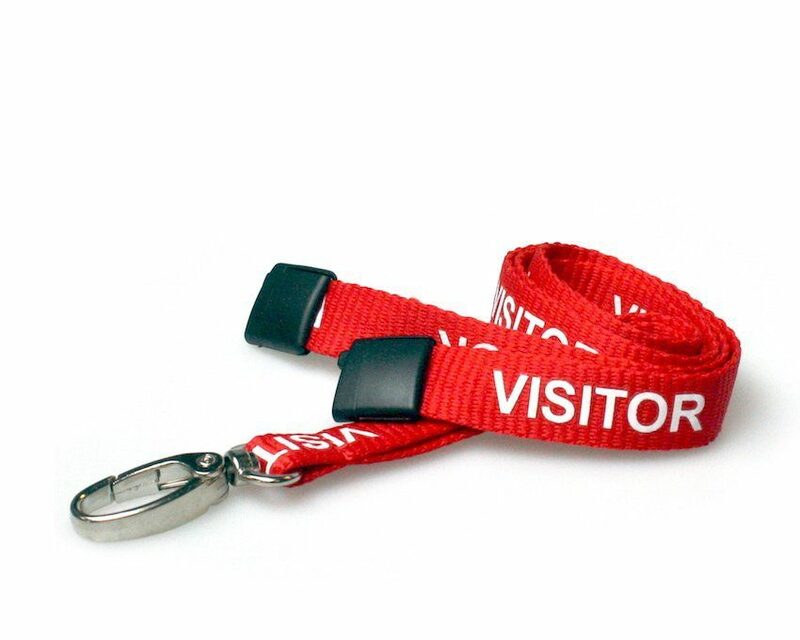 10mm is only really suitable for text based lanyard designs and 25mm lanyards are used generally for tall portrait logos or when you want your branding to be seen from a distance.